In 1792, our founder Wiert Willem Sikkens built a paint factory in the city wall of Groningen. Today, Sikkens is a multinational brand and our passion for developing the best decorative coatings has seen us gain customers throughout Europe, North America, Asia and Australia. From the outset business grew steadily, as did our solid reputation. 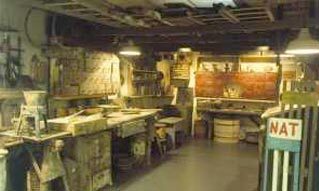 By the 1920s Sikkens was focused on R&D, establishing a lab for quality control and product development in 1924. Soon we expanded into specialist coatings for the joinery, automotive and aerospace industries. We continue to serve these markets today. 1939 saw us move to Sassenheim to be closer to our customers. Post-war we had to get creative with raw materials – this inspired our synthetic coatings range. A series of mergers and takeovers in the 1960s put us at the forefront of the international market. 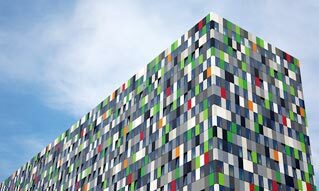 These days Sikkens forms part of the AkzoNobel group, the largest paint and coatings company in the world. We are dedicated to ensuring Sikkens products achieve top results for our customers. Collaboration with the people who use our coatings is key: from the preparation and design phase, to the moment the job’s done and beyond. Why? Simple. Sikkens has a passion for perfection. A commitment to innovation – our research facilities work to make the best products on the market even better. A focus on technical excellence and high performance as well as sustainability. Sikkens goes the extra mile, offering our customers expert service, training and comprehensive advice so that they get the most out of our paints. Like our customers, we strive for perfect results, every time. Throughout our history, we’ve been set on outperforming the rest in every way – from design to product, from idea to execution. Color is important to us: our Color Mix System is at the forefront of color technology. Sikkens inspires architects, designers and painters with our many tools and collections, including the well-known 4041 Color Concept. We also provide expert advice on trends and decor for interior and exterior application. 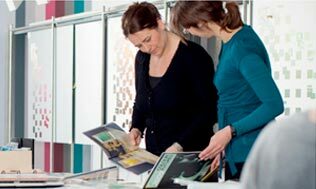 Working together with our customers to solve the challenge they face is one of our specialties. We carry out site inspections and prepare detailed specs for all kinds of projects – just a couple of ways we help ensure optimal results. With over 200 years in the field, our goal is to continue delivering the best products, service and experience for our customers. Sikkens is part of AkzoNobel, the largest global paint and coatings company and a major producer of specialty chemicals. 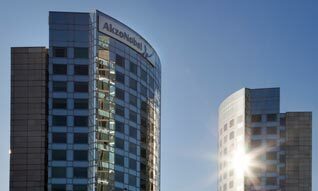 Headquartered in Amsterdam, the Netherlands, AkzoNobel is a Global Fortune 500 company and is consistently ranked as one of the leaders in the area of sustainability. With operations in more than 80 countries, our 55,000 people around the world are committed to excellence and delivering Tomorrow’s Answers Today™.